The United Space Federation is one of the leading Star Trek simulation/role playing groups on the Internet. 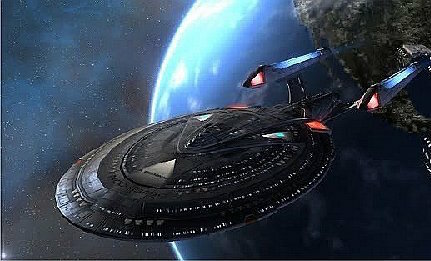 We have 13 simulations in action throughout the week, providing you with an excellent opportunity for adventure and excitement in the realm of Star Trek role playing. If you are interested in the Star Trek Universe and are imaginative, then the USF is for you. For more information on our simulations, read the Simulation Guide or read about us. Our group is divided into simulations (sims), each of which is a starship, station, or outpost. The sims are run by our most experienced members, who keep the sims enjoyable for players of all ages and host the live-action chat rooms. If you're ready to step into the action, Join Our Group or learn more about us. 201902.28 A Fourth Pip For Masterson Outpost Phoenix's Noah Masterson was given a fourth pip and promoted to Captain on Stardate: 201902.17. Congratulations, Captain, on a promotion well-earned and well-deserved! © 2001–2010 The United Space Federation Sim Group.